Work, Process and hopefully Progress. Howdy everyone, I've got a lot of exciting news about Rockin' B's summer schedule! We will be making appearances at several events here in the Midwest, and we are also opening our first gallery exhibition in downtown Lafayette, Indiana at the beginning of June. 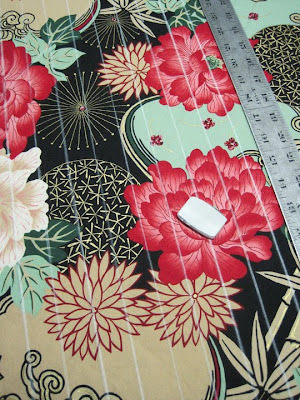 I've also got some quick preview pics of some new garments - I've been working hard on some beautiful one-of-a-kind dresses and skirts! Please stop by and see us at BEATERSVILLE on Sunday May 30th in Louisville, KY. I'm very excited to be a part of such a cool event, and we will be sharing space with Saved Industries of Louisville. Beautiful clothes for vintage-loving people! We are also very excited to be meeting up with the folks who run Pinup Lifestyle - make sure to stop by and check out their fabulous site. They will be hosting a meet & greet at the Phoenix Hill Tavern during the show. Rockin' B may also be appearing at the Road Rocket Rumble in Speedway, IN this coming June - the dates are June 24-June 27. I will keep you posted on developments with that, again it's a big "maybe" - but I'll let you know! Even if we do not end up vending, the show is FABULOUS and I will definitely be there as a spectator. Amazing bands, a great car show on Saturday, a live pin-up contest and lots of fun to be had all around. The Road Rockets sure know how to throw a party! I'm also VERY proud to be presenting several one-of-a-kind garments from Rockin' B at a gallery exhibition in downtown Lafayette, IN - our new show is titled "Uptown in Cowtown". The show will be taking place at K. Dees Coffee and Roasting Company, opening reception will be Saturday June 5th at 6:30 PM. The show will feature one-of-a-kind garments and some of my working sketches. 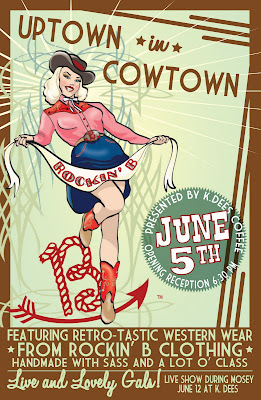 "Uptown in Cowtown" will be running through the end of July - please stop by and visit if you're in town! In conjunction with our K. Dees exhibition, we will be presenting a LIVE show featuring lovely models wearing Rockin' B, during the June 12th Mosey Down Main Street in Lafayette. The show will take place at K. Dees, so keep your eyes peeled for our gorgeous retro-lovin' ladies working the crowd. Mosey starts at 6 PM, and we will be strutting our stuff throughout the evening. 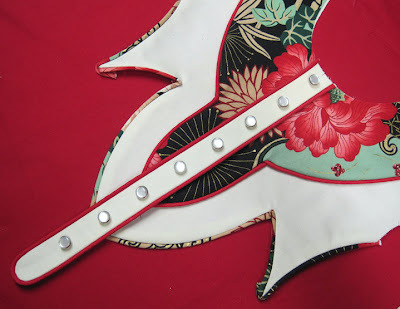 Here are a couple of progress/work photos for Rockin' B's newest dress style. I'm really in love with this Asian-inspired floral print, and I've been using it in quite a few garments. That's it for now - stay tuned for more info and more photos of pretty dresses/skirts as Beatersville approaches! Oh yeah, and you should add us on Facebook - modern technology my friends. Happy trails 'til next time!